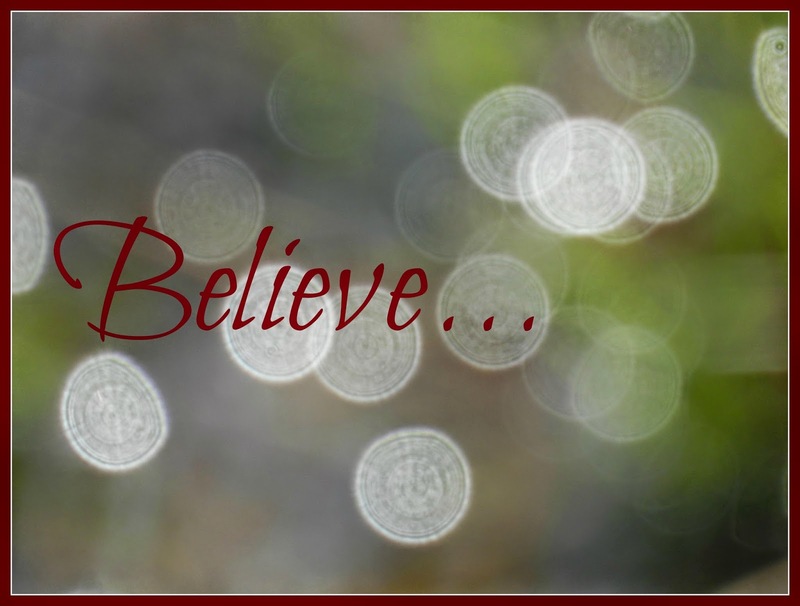 We hear this word a LOT this season, but believe in what? A red man and eight flying reindeer? Nine if you count the one with the shiny red nose. Or is it believe in the goodness of man? Joy? Happiness? Kindness? Humanity. What exactly are we supposed to believe in? Can I share that there's only one thing to believe in, not only this season but in all the seasons of our lives? Only one thing that brings goodness, joy, happiness, and laughter. Only one thing that pulls us from the depths of sadness or depression and sets our feet firmly in the light. Only one thing that washes us whiter than the snow many of us see. Only one thing that can remove our past and gives us a future. Only One who has given the ultimate gift that is soaked in unconditional love. One who wants nothing more than for you to place your belief in Him. Because every day you believe in something. And while believing in joy is wonderful, how about believing in the One who created it? Believing in kindness is beautiful, but why not believe in the One who enables us to be kind? Believing in a man with a red suit is a fun tradition, but believing in the One who's red blood fell as a sacrifice for every single one of us will change your life. What are you believing in this Christmas? Amen! I believe Jesus is King and Savior to the world.